David Haig is an internationally renowned, furniture maker from Nelson, New Zealand. Over the last three decades David has been commissioned to design and build a wide range of furniture forclients all over the globe. He is best known for his design, the Monogram rocking chair. 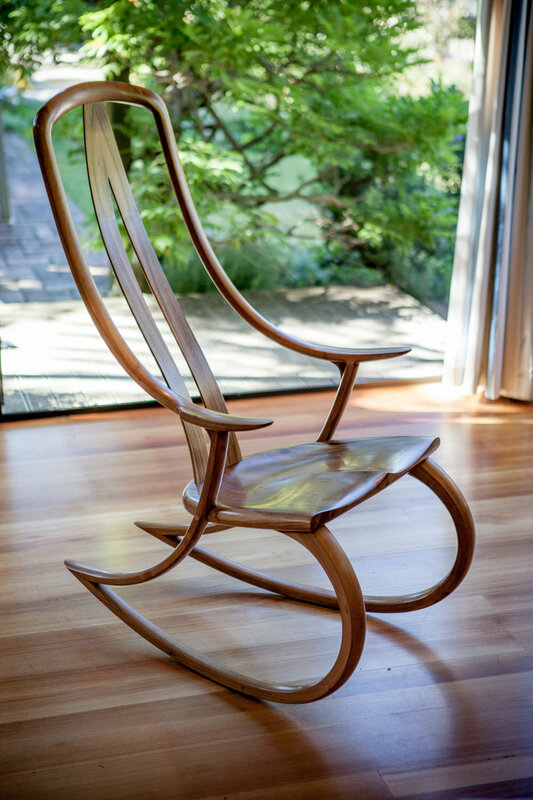 The Monogram rocking chair was based on a pencil sketch drawn over breakfast one day that gave him the central concept of a few sweeping curves that he’d been trying to bring together as a chair design. The first chair then took three months to build, and though David has modified and improved many of the details and construction processes, the purity of the interconnected curves of the original design have remained. Ergonomics were carefully considered from the start and the chair is both comfortable and well balanced, with a slight springiness and full lower back (lumbar) support.